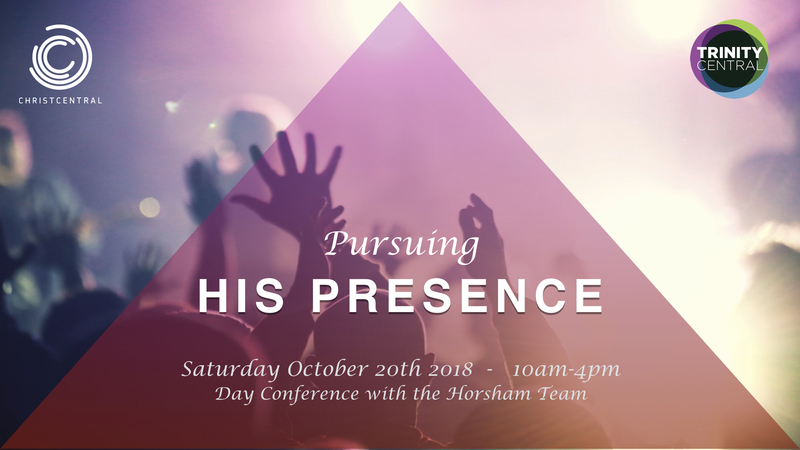 We are delighted to have a team from King’s Church Horsham (UK) leading our Pursuing His Presence Day Conference. It is the highlight of their week-long visit with us. The team are experienced in hosting the presence of God and enabling others to encounter His presence for themselves. We will have a main session all together with Jos Wintermeyer leading worship and Andy Robinson speaking. Then after a short break there will be three workshop ‘tracks’ to choose from; a Worship Track, a Prophetic Track, and a Spiritual Freedom Track. Each workshop track is comprised of two sessions – one before lunch and one after. Everyone is welcome! New Testament Worship – We were created to worship God! Come grow as a worshipper and in leading others in Spirit-filled times of worship such as life groups. Nurturing and Growing your Prophetic Gift – “Pursue love, and earnestly desire the spiritual gifts, especially that you may prophesy.” (1 Corinthians 14:1) Come discover and nurture your prophetic gift as you grow in faith and intimacy in hearing God. Spiritual Freedom – “For freedom Christ has set us free; stand firm therefore, and do not submit again to a yoke of slavery.” (Galatians 5:1) Come and experience the freedom we have in Jesus Christ and learn to pray for freedom for others. There are a number of coffee shops and food outlets nearby where you can buy a drink before the conference starts and food at lunchtime. Water will be available throughout the day. Child care is not provided but children are very welcome to attend. There is no charge for the conference. PLEASE REGISTER FOR THE CONFERENCE HERE.